When it comes to buying stocks and funds, you are going to need a broker a.k.a a brokerage firm to manage the transaction. A brokerage firm is a financial institution that manages or facilitates the buying and selling of securities e.g. stocks, bonds, funds etc, between buyers and sellers. They typically charge commission fees on trades and can provide you with up to date research, market analysis and pricing information on various securities. Examples of brokerage firms include Vanguard, Fidelity, Charles Schwab, T.Rowe Price, Betterment, Acorns etc. They offer a wide range of financial planning services and advice via one-on-one’s with financial advisors including what to invest in based on your objectives and risk tolerance. They usually have they high fees for the services they provide. They don’t offer financial planning advice and as a result are able to charge reduced trading fees. They have human support to help you place orders. They provide customized recommendations of diversified investments based on your individual situation and use software to manage your investments without the high cost of a real life advisor. Some robo advisory firms also provide the option to get advice from a real person at an additional cost. They typically have very low minimum investment requirements, low fees, regular and automatic portfolio rebalancing and automated investing. Can these different types of brokers do similar things? It is common to find brokerage firms that overlap the services they offer. 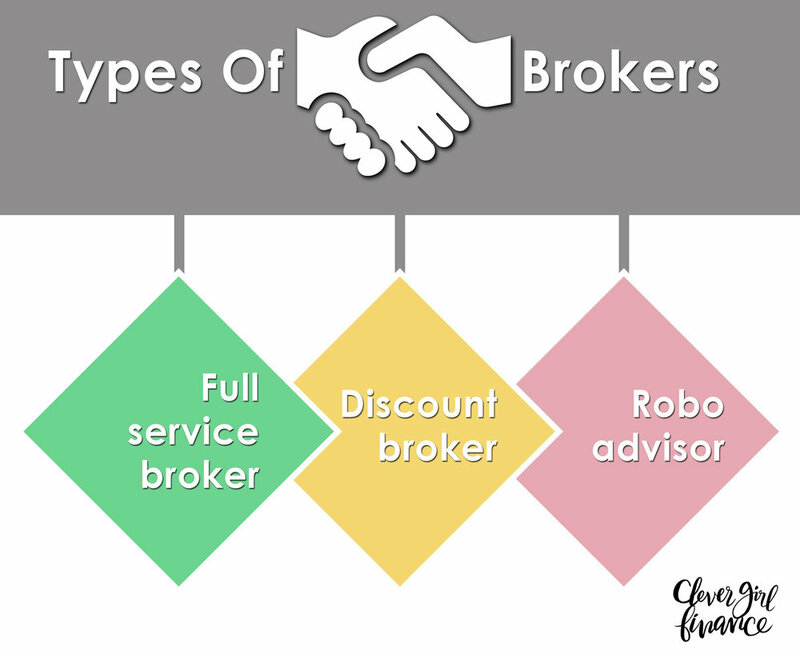 For instance some brokers offer full service and discount brokerage services in one place and many of these brokers are also adding on robo-advisory services. For instance: Vanguard, Fidelity, Charles Schwab are examples of full service brokerages while Betterment, Wealthfront, Robinhood and Acorns are examples of robo-advisors. Each of these brokers offer other services in addition to their core offerings. Due to the low costs, many people choose to go with discount brokers or robo-advisors and can be very successful at investing by being clear on their objectives and their risk tolerance and by spending time to do frequent research to stay on top of their investments. Prefer to work with a financial advisor? Working with a financial advisor is a decision that really matters because this person is going to be giving you advice and recommendations on financial products that will have a major impact on your finances long term. Take an assessment after your meeting - Is this someone you are comfortable with? Stats show that ~64% of the super rich ( those with $25 million or more in assets) who work with full service brokerages and financial advisors still take the time to do their own research. So despite working with financial experts, it’s still a good idea to educate yourself about your investment because no one can care about your finances more than you!